Singapore brokers will announce and explain decisions to impose trading restrictions beginning Dec 31, the Securities Association of Singapore (SAS) announced on Tuesday. Mainboard-listed Matex International, a manufacturer and supplier of speciality chemicals for the textile industry, has entered into a heads of agreement with Australian-listed coal producer, Blackgold International Holdings, in relation to the proposed acquisition of its wholly owned subsidiary, Blackgold Holdings Hong Kong, for a consideration sum of S$475 million. Shares of the seven listed firms linked to the family of Ling Jihua fell yesterday as probes into the top aide to former president Hu Jintao prompted investors to cash out amid fears of a further slide. An investigation into stock market manipulation in China is spurring concern of further losses for shares of smaller companies after a benchmark gauge plunged by the most in a year. Memstar Technology - a cash company after selling its membrane manufacturing business to United Envirotech - has entered into a US$420 million reverse takeover deal with the owners of Longmen Group, a China-based developer of unconventional natural gas. The Singapore Exchange (SGX) has taken a fair amount of criticism for the way trading has deteriorated over the past year since the penny crash of October 2013, a situation not helped by two high-profile computer glitches in the past five weeks. Asia-Pacific Strategic Investments has picked up a stake in LionGold’s former Amayapampa Gold Project in Bolivia. Normal trading should resume, but what’s ‘normal’? It’s a worrying situation that encapsulates the new “normal” the local stock market finds itself in. Saying "sorry" is not good enough. What we need now is a thorough investigation - maybe even an independent committee formed to review the embarrassing incidents. It would be somewhat unkind to conclude that this week’s market stoppage - the second in a month and third this year - is simply another dismal chapter for a market in malaise. But there is no denying that something is amiss. The numbers don’t lie. Singapore Exchange (SGX) chief executive Magnus Bocker came out swinging at an hour- long press conference yesterday, explaining in painstaking detail what happened in the bourse operator’s latest “incident”, what it plans to do next, addressing whether he would step down from his job and apologising for good measure. The apology and explicit acceptance of responsibility from Singapore Exchange (SGX) chief executive Magnus Bocker for Wednesday’s computer system breakdown was the first indication in many months that SGX is willing to concede that things are not at all right with many aspects of its business. Supplier of piping system components to the energy and marine sectors, mainboard-listed CosmoSteel Holdings on Monday announced it has entered into a subscription agreement with Tokyo-listed Japanese steel trader Hanwa to raise S$15.3 million. We refer to the article by R Sivanithy, “Reinvent rules for remisiers” (BT, Nov 18). Yuuzoo Corporation has signed a deal with Etisalat to bring its social e-commerce model to Nigeria, said YuuZoo on Wednesday evening, shortly after requesting a trading halt. Mainboard-listed Sino Construction announced on Friday that operations at its Mongolian mine Baruun Noyon Uul (BNU) will recommence, following what it described as the “successful completion” of its first trial batches of coal. Seizing opportunities in the bear market, Singapore mainboard-listed Sino Construction has been aggressively acquiring coal assets and is now on the hunt for more. 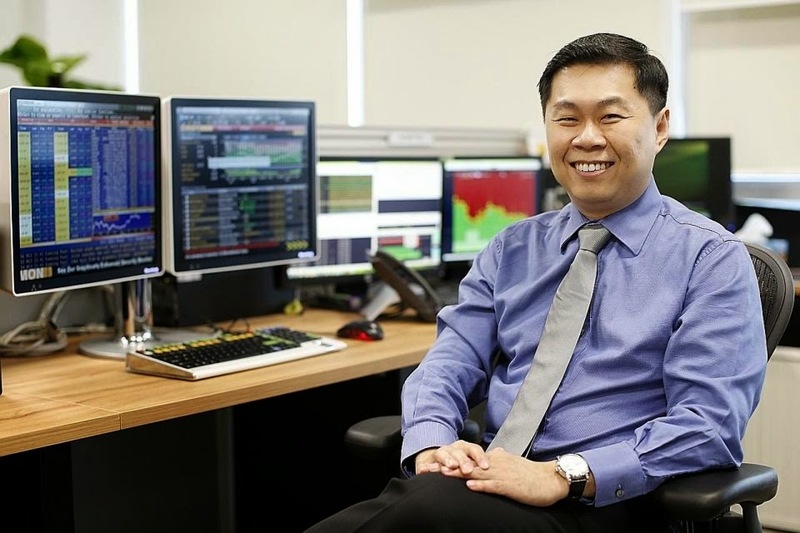 The Securities Investors Association of Singapore (SIAS) has hit one nail on the head with its call to revamp the way that remisiers, or retail trading representatives (TRs), are paid. The Business Times used the Bloomberg machine to dig up companies trading at extreme financial ratios on the Shanghai Stock Exchange that investors could buy on Monday. Here is what we found. I refer to Jimmy Ho’s letter, “It’s not a ‘quality market’ for investors” (BT, Nov 12). We appreciate Mr Ho’s feedback, but do not agree with his depiction of the Singapore stock market as suffering from a “malaise”. The market was once again reminded of the shattered financials of the firms embroiled in last October’s penny stock crash with LionGold releasing its much-delayed first quarter results with an injurious outing, just one day after its counterpart Blumont reported dismal quarterly digits. Vallianz Holdings reported on Friday that its net profit more than doubled to US$4.82 million for the third quarter ended Sept 30, 2014, compared to US$2.14 million a year ago. Earnings per share was 0.19 US cent, compared to 0.18 US cent a year ago. A recent scoping study on its gold mine project in Ghana-Konongo Project - owned by Australian-listed Signature Metals - has come up with some “encouraging conclusions” after discovering that the area has “reasonable prospects of economic extraction”. 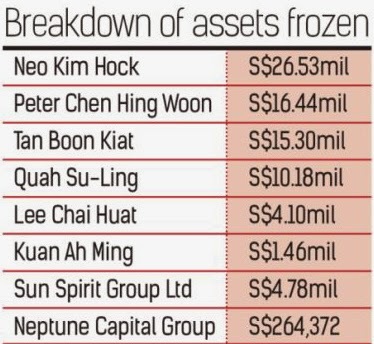 The SGX’s own figures tell a dismal story. Delays in a fund-raising exercise - due to the surprise visit by the Commercial Affairs Department - had caused LionGold Corp to be unable to assess the impairment of the value of an asset in time. Mainboard-listed Sino Construction Ltd intends to make an off-market takeover bid to acquire Australian-listed Guildford Coal (GUF). Singapore Exchange (SGX) chief executive Magnus Bocker has pledged his commitment to eventually do away with board lots, and has spoken up for retail participation and sustainability as he outlined strategies to address lacklustre markets. Singapore Exchange (SGX) is forecasting an end to a two-year hiatus for Chinese listings after regulators made it easier for companies from Asia’s biggest economy to sell shares in the city-state. Short-sellers who profit from stock price declines have resumed targeting Chinese companies after a three-year lull, but many of the researchers who instigate the strategy are now cloaked in anonymity, shielding themselves from angry companies and Beijing’s counter-investigations. Blumont - Does it already have indirect control over Merlin Diamonds Ltd? A regulatory body separate from SGX? The Singapore Exchange’s (SGX) plan to boost its disciplinary powers to improve the quality of the market is long overdue - coming as it did after debacles such as the penny-stock collapse last year. A recent report from Greenpeace has found that China’s coal consumption declined in the first half of this year and new Chinese government data suggests that the country’s coal imports have dropped. Estimates indicate that by the end of the year, China’s coal imports could be 8 per cent below 2013 levels. Earlier this year, a listed company here embarked on a non-underwritten rights issue to raise money for investment and working capital and, presumably to enhance the attractiveness of the offer, its announcements on the rights issue highlighted the fact that the company’s substantial shareholder had given an “irrevocable” undertaking to fully subscribe to its portion. SGX says it will proceed to set a minimum trading price of 20 cents for mainboard-listed stocks given strong public support for the requirement, in a move aimed at curbing excessive speculation and potential manipulation. China Cosco Holdings has signed a landmark deal with Brazilian miner Vale for the transport of iron ore and the purchase of 14 very large ore carriers, which have been barred from entering mainland ports since early 2012. Eratat Lifestyle said on Friday that it has requested for more details on the investigations led by the China Banking Regulatory Commission (CBRC), which last month found a forged bank confirmation linked to the company’s subsidiary. Blumont Group now holds a 43.08 per cent stake in privately held uranium miner Azarga Resources after converting US$19.1 million worth of convertible notes. Blumont Group on Thursday said that its all-share bid for all of Australia-listed miner Genesis Resources has been extended because it is missing information from Genesis needed to produce a shareholder circular. And the best jokes are the financial figures of many mainland private enterprises, and the fact that some investors actually believe them. When looking at ways to enhance disclosures in the Singapore stock market, it is often instructive to study practices in other stock exchanges to see if any can be adopted for the local bourse. One useful suggestion came from a BT reader a fortnight ago. Shares of Fung Choi Media Group took a battering for a second straight session yesterday on speculation over the integrity of its accounts. LionGold Corp has delayed a planned acquisition of Australian gold mining and exploration assets for a second time, with the new deadline pushed to the close of Sept 30. Gold miner LionGold Corp and Blumont Group have issued clarifications in relation to a story carried by The EdgeSingapore and The Edge Malaysia this week on the penny stock crash which took place last October. What do retail investors really want? The Singapore penny-stock crash of October last year was a painful affair that generated widespread discussion among regulators, stockbrokers and members of the public on what went wrong, how it could have been handled better and how to prevent a recurrence.